There are 25 reviews of Magnetism. Cotton Candy + Caramel Apple + Angel = one luscious trifecta. I don't find it sweet. But the top notes of black currant and red berries make it different and magnetic. It is captivating in a sense that it has a balanced composition of flowers and spice that makes it more appealing. In my opinion, the fragrance is rightly named as Magnetism as it really suits it! Plain disgusting. Overly synthetic and definitely nothing edible. Nauseous. Represents well the new millenium of perfumes -- this couldn't have been done before. A heavy cloud of synthetic nightmare. I can detect what people call "green" or "sweet" but it is represented in a way that I hate. Dolce & Gabbana pour femme (the new one) comes in Magnetism's footsteps, and YSL Manifesto. Yuck! I must confess: as much as I enjoy caramel as a confectionary treat I do not care for it in perfumes. My last rendezvous with caramel before Magnetism was disastrous; I could not scrub Hard Candy off my wrists fast enough. As the old cliché goes, “never say never,” and I am so glad I did not. Magnetism is good enough to make me go back on my word. To look at the notes is to go into shock over the sugary overload of caramel, vanilla, and random fruits, not to mention the mishmash of greens and flowers. Had I seen the notes first I would never have considered buying this. It looks frightful but smells blissful. EM begins with a subdued creamy caramel, which is neither too saccharine nor too artificial. The vanilla-caramel sweetens just a tad with the arrival of candied fruits a few minutes after the initial spray. As terrifying as candied fruits may sound, they are merely present to add another confectionary dimension to this cozy comfort scent. The vanilla-caramel is still ever present at the heart but it mellows out, introducing a rich bouquet of varied flowers in full bloom, leaves and stems included. The base is most satisfying, incorporating the romantic notion of candies and flowers but adding an element of carnal seduction with its creamy vanilla and amber musk. Eight hours later I could smell a soft, sweetened, and warm musk; it was my skin but so much better. Women will ask what you are wearing and men will trail behind, following the sillage in a devil-may-care fashion. I look weird compulsively burying my nose in my wrist but it cannot be helped when I wear this. EM is just that good. 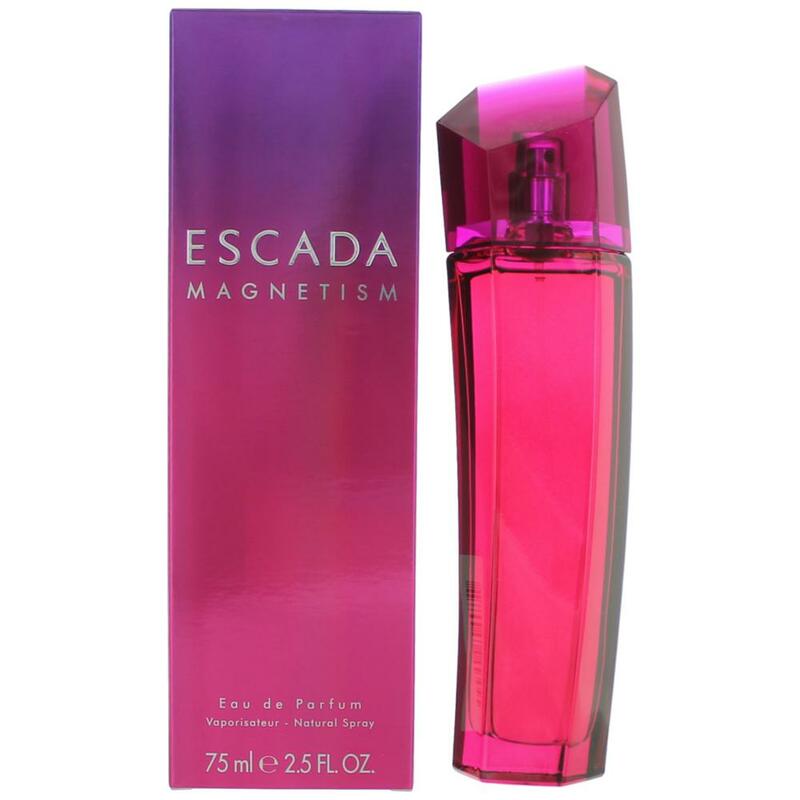 I was loathe to try this on account of the bottle's semblance to Very Irresistible, which does not work for me, and the fact that all of Escada's recent offerings have been for people many decades younger than I. Then, today, a stylish middle aged woman came into the shop today and asked for it...and I was tempted. So, before leaving, I gave myself a generous dousing and headed out...what a pleasant surprise! Fruity-Floral-Woody, all in potent doses, and delicious! I noticed mostly Currant and other berries, with a fresh note, followed by a synthetic but nice Rose. The drydown came only after an hour, and was cheap incense and powder, which I am still enjoying many hours later. Very potent with incredible sillage that provoked a few inquiries. While this type of scent is not really to my taste, I must commend Escada on creating something which shamelessly screams "Smell Me", and has a well-balanced composition. I'll add this to Amarige, Poison, Giorgio, & Stella as a perfume that commands attention (loud). Wear carefully! p.s. would be great as a stripper scent, second only to Dior Addict original. I really really love this perfume. It is the only one that I am using and enjoying for years. 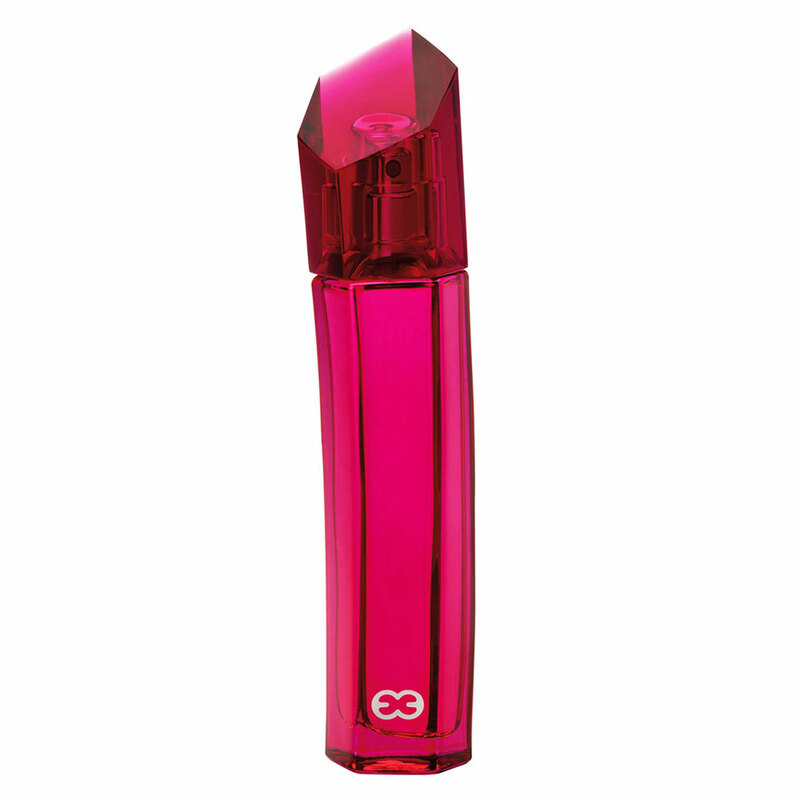 Most perfumes get boring after one bottle, but Magnetism doesn't. Anytime I am wearing it I get great comments. People tell me it I smell great and ask me which perfume I am wearing. Eventough it is smelling kind of sweet, it isn't a typical sweet smell. It is oriental and wonderful! There are no member images of Magnetism yet. Why not be the first? 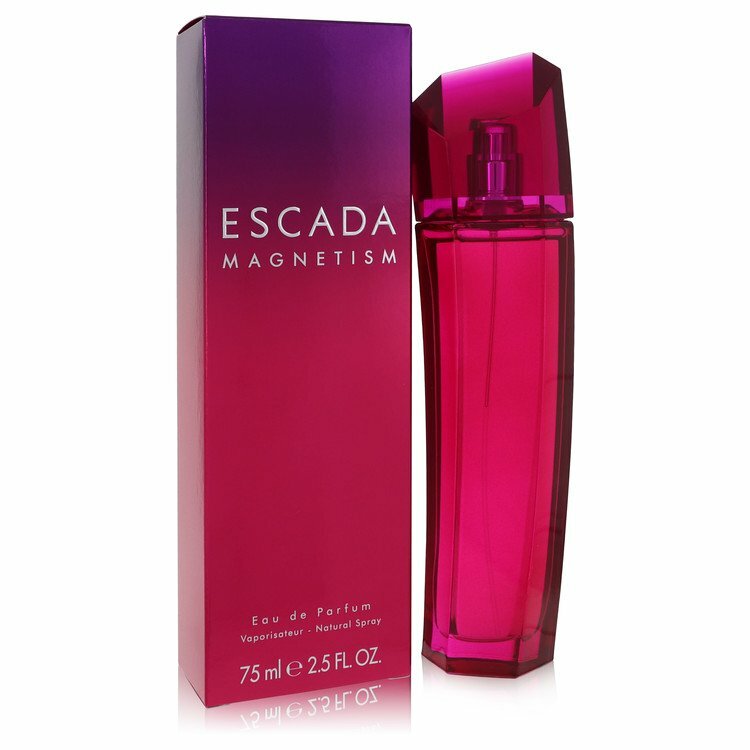 Where to buy a replica of Magnetism by Escada?